The skin on our lips is the thinnest on our face. Cell turnover is rapid, so we see dead skin shedding or peeling if we don't exfoliate and hydrate our lips often. The lips have no sweat, or oil glands to produce the protective layer that keeps skin smooth. Here are some of my favorite products to hydrate and exfoliate so you'll have the most kissable lips. This untinted ultra-rich lip product soothes and heals chapped lips while infusing them with hydration. It is colorless, which makes it an ideal product for men. It can also be used as an under-eye treatment. Product price $16.00 Available at LORAC, Sephora and other fine department stores. This lip balm delivers continuous moisture all day long. Vitamin E provides protection from free radicals, and peppermint oil refreshes and soothes your lips. If feathering and bleeding is your issue then fret no more. While this product may seem a bit costly, it is worth every penny. It is by far one of my favorite products, and I don't leave home without it. Product price $55.00 Available at Z.Bigatti and Dermstore. Sugar cane crystals exfoliate peeling and flaky skin. 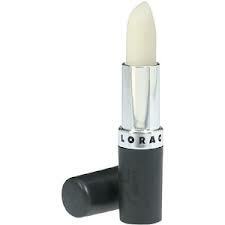 It promotes a natural-looking, healthy color while leaving the lips feeling supple and smooth. Bioelements is a professional skincare line used by leading estheticians. Product price $26.00 Available at Bioelements.